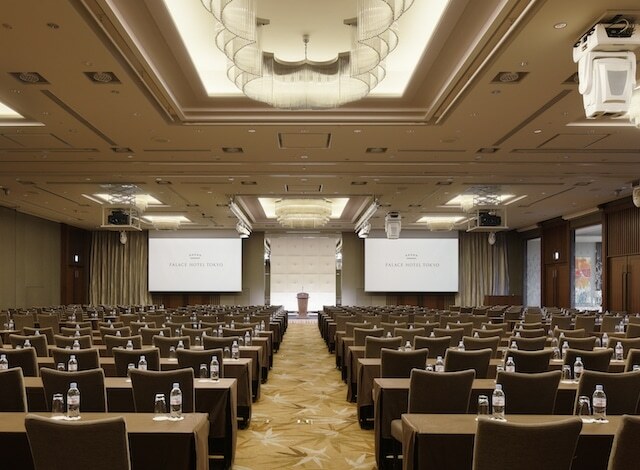 Palace Hotel Tokyo’s eight multi-purpose function rooms offer spaces both vast and intimate, each designed for optimum versatility to seamlessly accommodate a multitude of set-ups. 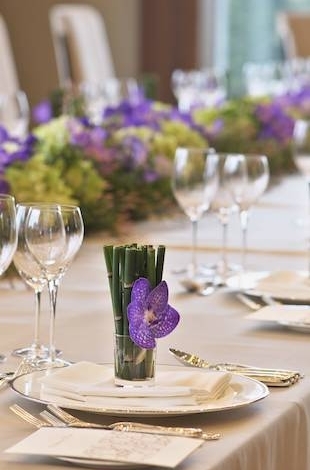 In addition to richly appointed, elegantly designed function rooms outfitted with the latest audio-visual technologies available, our team of highly experienced professionals is always on hand to assist with ensuring every aspect of your event is flawless. 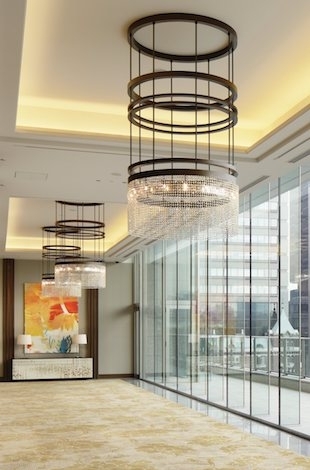 Wired LANs for video conferencing and sharing of audio, video and data between venues. Our 3-ton capacity industrial lift measuring 2.2m x 2.2m x 5.3m allows for the installation of large-scale products and exhibits. 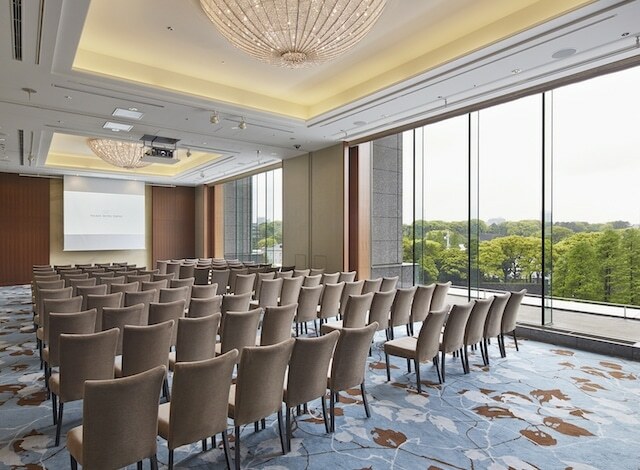 Versatile moving projectors in the Aoi ballroom and Yamabuki room allow for the display of dynamic presentations unhindered by the size limitations of standard projection screens.